An all-new follow-up to southwestern British Columbia’s best-selling hiking guidebook — now featuring trails on the islands and in northern Washington. David and Mary Macaree’s iconic 103 Hikes in Southwestern British Columbia has been the province’s most popular and trusted hiking guide for nearly fifty years. 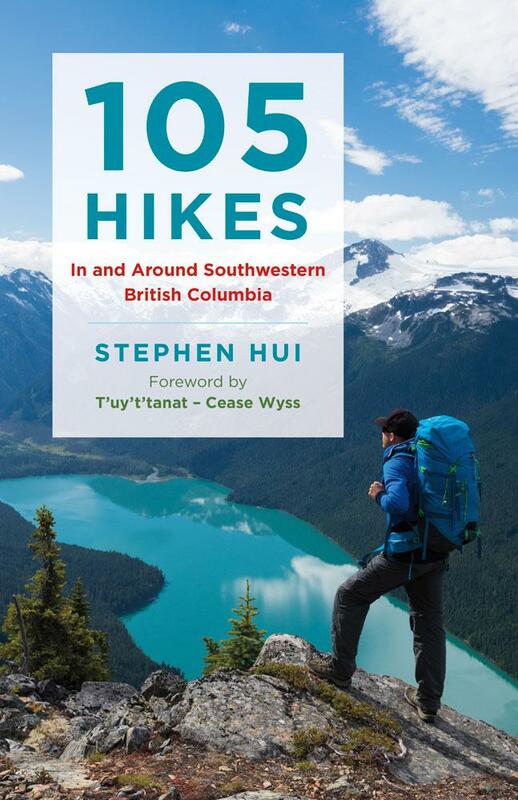 Inspired by their beloved classic, Stephen Hui carries on their legacy with hikes across a wider area and range of abilities; an at-a-glance summary of all the hikes in the book; tips for hiking safely and ethically; full-colour topographical maps; a rating system for hike quality and difficulty; Indigenous place names where appropriate; and shorter or longer options for many outings. Extensively researched and field-tested, 105 Hikes In and Around Southwestern British Columbia is your new go-to day-hiking guide for trails around the region. T’uy’t’tanat—Cease Wyss (Sḵwx̱wú7mesh/Stó:lō/Métis/Hawaiian/Swiss) is an interdisciplinary artist and a Coast Salish ethnobotanist who recently has returned to a textile arts practice through learning Coast Salish weaving techniques in wool and cedar. She is a member of the Aboriginal Writers Collective West Coast and lives in East Vancouver. Jaime Adams is the founder and program coordinator of the Forest and the Femme Society, a non-profit outdoor recreation program for marginalized women of Vancouver’s Downtown Eastside. Citation: Hui, Stephen. 105 Hikes In and Around Southwestern British Columbia. Vancouver: Greystone Books, 2018.